Automatic ball launchers, or as they are known, automatic dog fetch machines, let you play fun fetch games with your pet giving them plenty of exercise. All on autopilot. 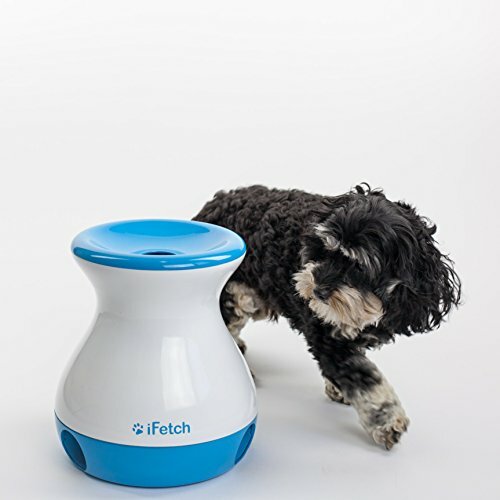 Many of the automatic fetch machines include distance and angles settings to accommodate and entertain dogs of different sizes and ages. The Pet Safe automatic ball launcher, for instance, can launch balls between eight and 30 feet. And it features a motion sensor so that it will only launch a ball if it can clear your pets head. 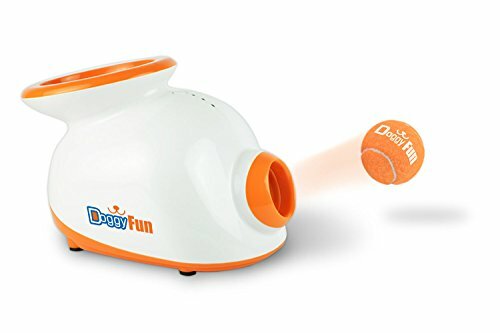 If you have a small dog, the Doggy Fun automatic dog ball launcher is for you- it is specifically designed for small dogs with miniature-sized tennis balls that are 1.5 inches in diameter. Let's take a look at five of the best- semi-automatic dog ball launchers. This automatic ball launcher offered by PetSafe is well-designed, fun, and an excellent way to train your dog. Users love that they can use it both inside and outside, but some do note that it’s slightly noisy. With a size of 13.5 x 12 x 13.5 inches, this dog ball thrower has nine settings, six angle settings, a launching distance from 8 to 30 feet, multi-sensors – motor, safety, and ball detection, and it comes with two standard PetSafe tennis balls. This self-throwing ball machine has a 15-minutes rest feature to avoid overstimulation, and you can use it with 6-D batteries or the included power cord. In general, users have a mixed opinion regarding the PetSafe automatic ball launcher. One buyer shares that this is the best dog ball thrower that he has ever owned, and his two dogs like very much their new toy. The reviewer also states that the managed to train his dogs to place the ball in the basket quickly and with no problems. A happy purchaser mentions that his dog is obsessed with playing fetch and this automatic thrower was the perfect gift for him. However, customers have complained that this ball fetching machine doesn’t toss the ball as far as they would like and that the automatic stop feature isn’t convenient and there is a long pause between the launchings. Some also note that they can’t get their dog to stand at the necessary shooting distance and wait for the ball to be thrown. 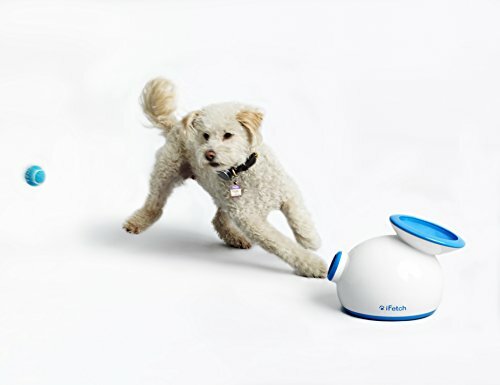 This small interactive ball throwing machine offered by iFetch is fun, easy to use and an excellent choice for a small dog. Users love how simple it is to use it, but some do note that it’s overpriced for them. With a size of 14.8″ x 10.1″ x 11.4″ and a weight of 3 pounds, this automatic ball thrower for small dogs launches 1.5-inch tennis balls, and it has adjustable launch distance from 10 to 30 feet, three tennis balls, and a power cord. This automatic fetching machine also runs on 6-C batteries which are not included, and it’s suitable both for indoor and outdoor use. One buyer mentions that he managed to train his dog quickly to drop the ball in the opening and that the dog ball fetching machine makes a low sound before throwing the ball so that the dog can learn to anticipate the launch. A happy customer mentions that the balls are the perfect size for his Yorkie, and he doesn’t have to worry that she would swallow them. Another user shares that his dog is so enthusiastic about the iFetch ball thrower that he is forced to unplug it so that the dog won’t exhaust itself. However, most customers have complained that their dog manages to destroy the balls quickly and that since only the iFetch mini balls would fit in the opening, they can’t change them with rubber ones. Some also complain that the balls come out fast and may injure the dog and that the machine stopped working after several days. This dog ball throwing machined offered by iFetch is compact, lightweight and inexpensive, but it doesn’t provide enough entertainment for most dogs. Users love the price, but most note that it’s not what they expected. With a size of 9″ x 9″ x 11″ and a weight of 3 pounds, this dog ball thrower has a durable, high-quality design, a hidden ball storage compartment, and it uses1.5-inch mini balls which randomly roll out through one of the three openings in the base. The iFethc comes with three mini tennis balls, and it’s suitable for small dogs only. In general, users have a negative opinion of the iFetch dog ball throwing machine. One buyer commented that he expected something more powerful and instead he got a thrower that slowly rolls out a ball. Another customer shares that the ball would roll about 18 feet and that his dog wasn’t interested in chasing it at all. An unhappy user also mentions that his dog managed to destroy a ball in less than three minutes, and he wouldn’t recommend the iFetch mini thrower to anyone who wants to keep their dog entertained for hours. On the other hand, a pleased customer mentions that this is ball thrower is ideal for indoor play since he doesn’t have to worry that the ball would break something. The reviewer also stated that his dog was engaged by the thrower, but he wished that he could put larger balls in it. This automatic dog ball launcher offered by GPG2 is light, well-design and entertaining. Users love how silently the ball launcher is, but some do note that they had problems with the balls. With a size of 12.5 x 8.5 x 9 inches and a weight of 3.5 pounds, this dog ball thrower has three power launch settings, a blue indicator LED light, a power adapter for indoor use, five mini-sized balls, a user guide, and a training manual. You can use only 1.5-inch mini tennis balls with this fetcher, but you should be aware that this machine is not suitable for large dogs. As a whole, users have a mixed opinion regarding this doggy automatic ball thrower. One buyer shares that the launcher shoots the balls far on the highest settings and that it works flawlessly both plugged in and on batteries. The reviewer also states that his dachshund loves to play with it, but it would have been better if there is an easier way to remove jammed balls. Another user mentions that it was easy to train his dog to put the ball in the chute and he would gladly recommend it to anyone who has a ball-obsessed dog. However, some customers have complained that the balls would often get stuck inside and that there are no proper instructions on how to use it. A reviewer also shares that this doggy fetching machine broke only two weeks after he got it. If you are looking for an inexpensive ball throwing machine for your dog or if you simply want some batting practice, you might take a look at this electronic pitching machine offered by Franklin Sports. Users love the price, but some do note that it throws the ball erratically. With a size of 17.75″ x 9.5″ x 9.875″, this electronic ball fetching machine pitches balls every 10 seconds, and there is a red flashing light indicating that a ball is about to be launched. You can adjust the pitch height, and the packaged includes six while plastic balls. In general, users have a favorable opinion of the Franklin Sports automatic ball launcher. One buyer commented that he chose this ball thrower for his dog as an alternative to the expensive dog ball launchers and the balls go far enough for his dog to be enthusiastic and eager to chase. Another customer mentions that he managed to quickly train his dog to bring back the balls and put them in the chute, and he can have fun with his dog without tiring out his arms and shoulders. The reviewer also states that this electronic ball pitching machine is easy to assemble, and he can play with his dog for hours without the balls getting stuck inside. However, some have complained that the balls are cheaply made, and their dog can easily bite through them, so they advise that you use Jugs balls instead. Some also complain that it doesn’t throw the balls as far as they would like. The Pet Safe manufactures and buys that you should introduce your dog slowly to these automatic fetch machines. They say that you should first begin using it outside, with the dog nearby, and once the ball has been launched you should then give your pet a treat. Keep repeating this until you can be sure that your dog is comfortable around the machine. We all know how to speak to a dog can become-you don't want them to become afraid of your new ball launching toy. 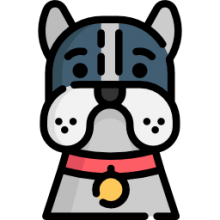 Once the dog is comfortable with the automatic ball launcher, then you can use treats to train it to drop the tennis ball once they have retrieved it after it has been launched. Gradually, you can encourage your dog to drop the tennis ball into, in this case, the Pet Safe automatic ball launcher and the ball launching itself will become the treat. And there you go- now the entire fetching process is automated and you can set up one of these ball launchers in your backyard and keep your dog entertained and exercised without you having to toss a saliva-drenched, soggy tennis ball. Since the pet safe is battery-power you can leave it in the yard during the day without having to run a power cord to it. As well, the Pet Safe actually features different tones to help train your dog. You can also customize the distance of the throw as well as the angle, once you have learned what sort of catching rhythm your dog prefers. One user who purchased the Pet Safe automatic dog ball fetching machine writes that different dogs enjoy different styles of fetching. 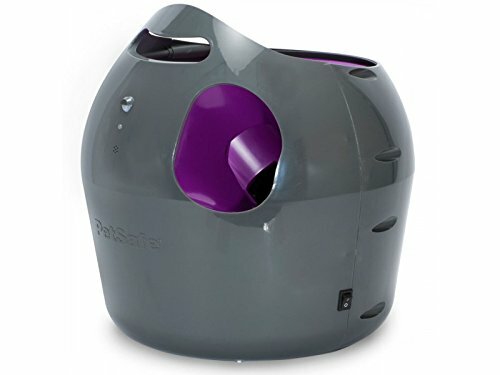 To be honest, there are some mixed reviews of the Pet Safe automatic dog ball thrower- with some people saying it doesn't throw the ball far enough, that the machine is a little too loud, and that the sensors were a bit too sensitive causing the machine to shut off or wait too long to throw the ball. An interesting alternative is the Franklin MLB pitching machine that some users have used for dog fetching purposes rather than baseball throwing. Users write that it is an inexpensive alternative to traditional dog fetching machines. Users have said that the balls will shoot out really fast. Dog owners have substituted the baseballs with Jugs Poly Baseballs- these apparently work well with the machine and are more ideal for dogs, resistant to being chewed up. 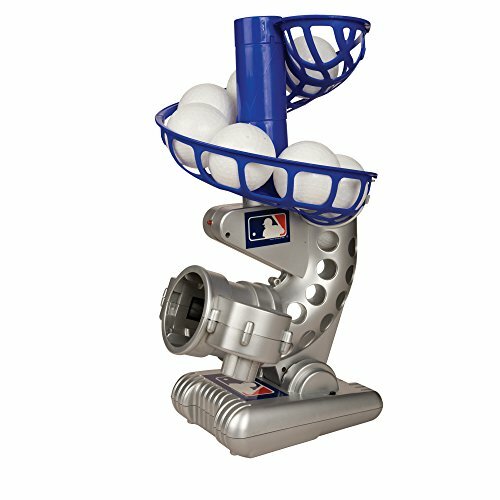 Many users have written that the MLB pitching machine is a better alternative than the expensive automatic dog fetching machines that you've seen on the market, keeping their large breed collies, shepherds and labradors, as well as small breed dogs, exercised throughout the winter and summer months. If you're looking for an inexpensive way to keep your large or small breed dog exercise, you may be smart to purchase an automatic fetch machine. There are a variety of automatic fetching machines on the market today with an ability to adjust the distance of the throw, the angle of the throw, and equipped with animal-safety mechanisms to ensure that your head is not injured while the automatic fetching is taking place. As we have seen, the MLB thrower is an interesting alternative for dog owners to consider. If you're looking to purchase an automatic fetching machine, check out our comparison table to get a sense of what's available on the market. Read the reviews on product pages, as well, to get a sense of what fetch customers have either liked or disliked about their buys.